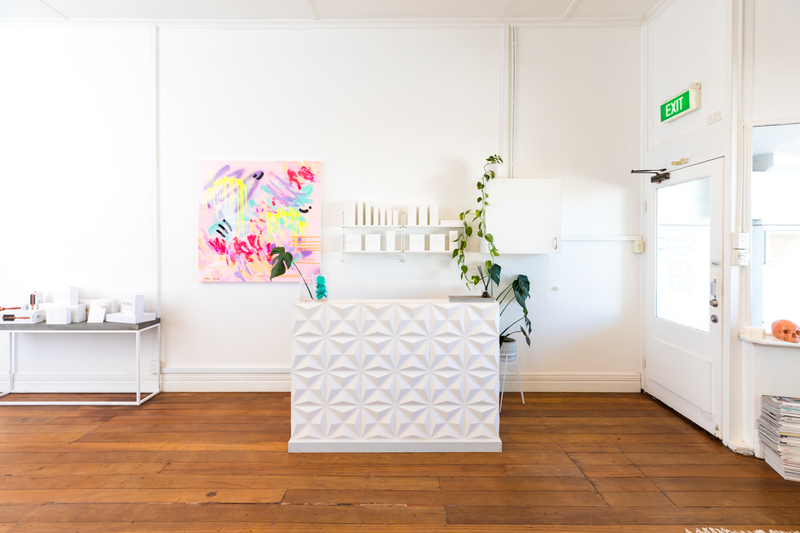 Creating a space with a non-hair salon vibe was my primary goal when opening the studio. 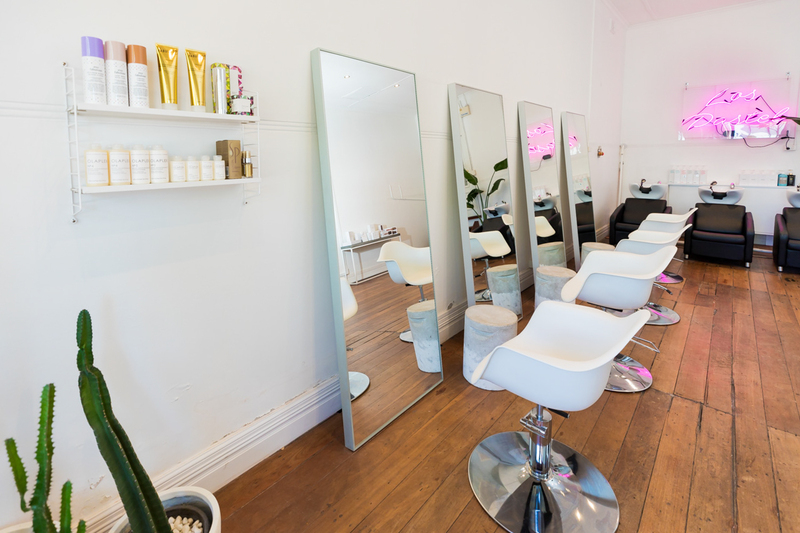 It’s important that all of our clients feel relaxed, and that the space doesn’t have the stigma of a typical ‘chain’ hair salon. Walking into Perth’s Los Pastel in Subiaco is like stepping into a neon drenched dreamland. The creative studio catering to blondies is full of love and attention to detail. 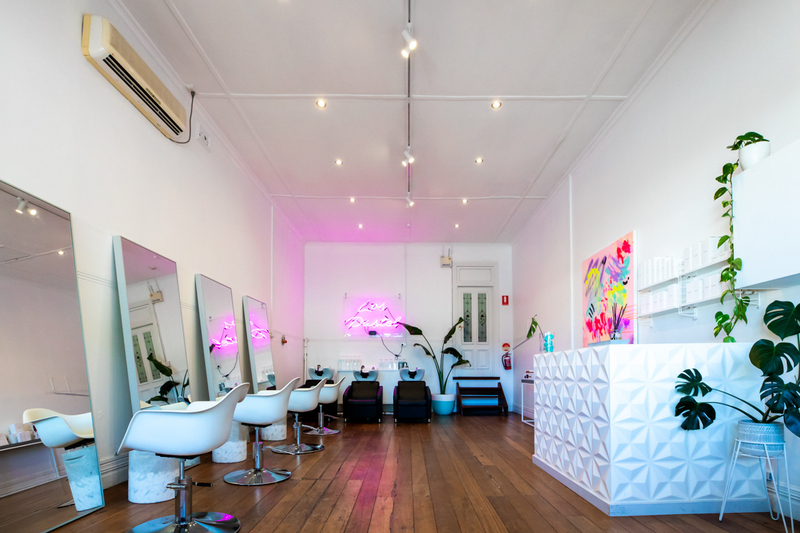 With vaulted ceilings and jarrah floors, the bones of the salon are injected with owner Grace Clayton’s vibrant personality. We get candid with Grace as she opens up on the her career, the inspiration behind the blonde haven that is Los Pastel and what is on the horizon. TJ: Tell us about Los Pastel. What were your goals in setting up the salon? GC: Los Pastel is (specifically) a blond hair studio. I didn’t want it to feel like a hair salon. 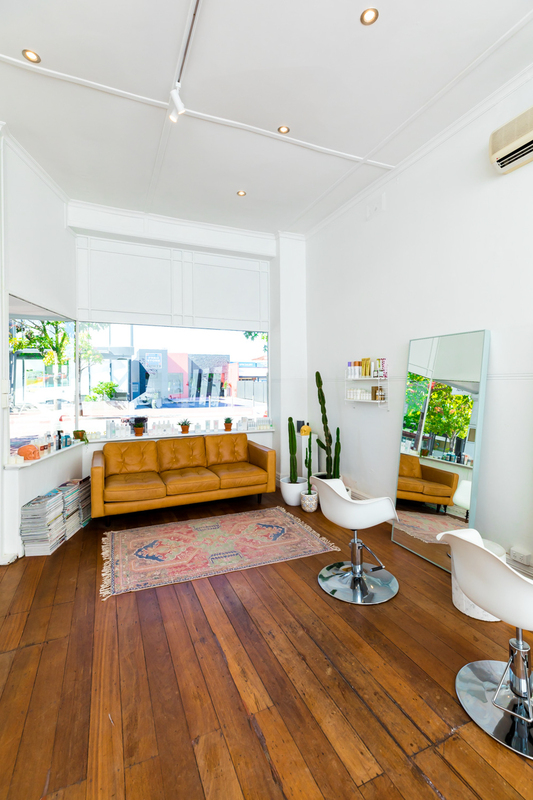 My main goal was to create a relaxed space in which our clients could feel comfortable, but to also provide the best blondes in Perth. TJ: What prompted you to specialise in blonde hair? Who is the target Los Pastel client? 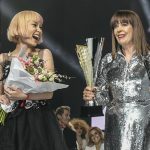 GC: I’ve been hairdressing now for 12 years, and during that period, there’s been times that I’ve wanted to leave the industry, as I thought it wasn’t for me. It wasn’t until I started specialising in blondes that I really began loving the work I do every day! Blonde hair colouring is very specific, and I feel confident in knowing more than the stock-standard techniques used to achieve various blondes. Our target clients are people who understand and appreciate the certain approaches and care we take when creating the perfect blonde. TJ: What might first-time clients expect to find upon visiting the salon? GC: New clients can expect a detailed service, in a relaxed environment – and may notice that we are not your typical hair salon. Our bright, open space – along with our one on one service – will allow clients to experience pure focus from their hairdresser, in a comfortable space. 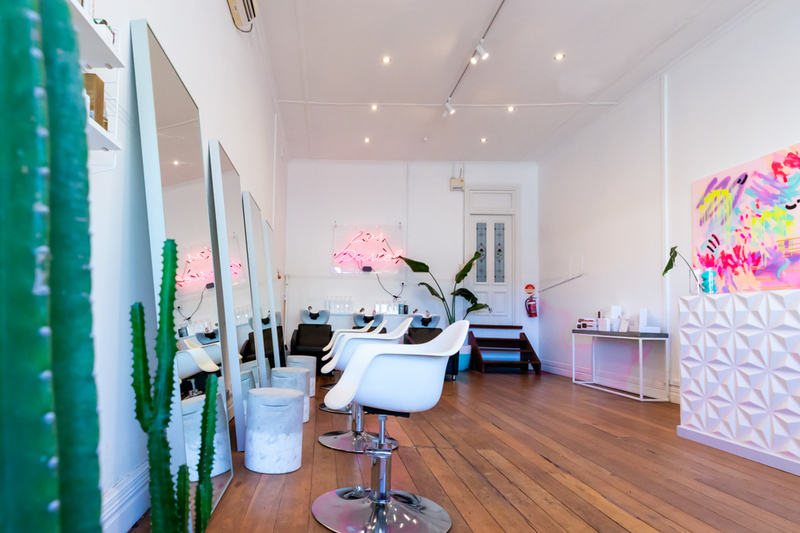 TJ: How important was it for you to cultivate a creative, non-traditional salon space? GC: Creating a space with a non-hair salon vibe was my primary goal when opening the studio. It’s important that all of our clients feel relaxed, and that the space doesn’t have the stigma of a typical ‘chain’ hair salon. Also for myself and my team, it’s a space that we want to work in and feel inspired by (and not get bored of)! TJ: What brands/products are used on site? Any bespoke services? GC: We currently use both Redken & Wella hair colour, as I believe bits of both brands are needed for creating perfect results. We also include Olaplex in all our lightening services. All our take-home products are cruelty-free and free from parabens and sulphates. These include Mr Smith and Verb Products, as well as the Olaplex 3-4-5 take-home system. TJ: How have such modes as social media impacted upon/changed your business over the years? GC: Instagram has been our biggest marketing tool, acting as a visual portfolio so that our (potential) clients can check out our style before visiting. The majority of our clientele come through this platform and as it continues to grow, so does our client base. It really is a ‘try before you buy’ sort of tool. TJ: What is one piece of advice that has informed your approach to business? GC: I think the biggest piece of advice I always try to remember as my business grows is to stick to the mood board I originally created – so that I can follow the same path and see the consistency in our growth. I don’t want to get caught up and lose sight of what I originally wanted for the salon. Luckily, I haven’t had to face any major challenges as of yet, but I’ll always take things as they come. TJ: Talk us through your team and their dynamics. What do you typically consider when hiring prospective staff? GC: At the moment, I have a team of two full-time employees, who are both senior colourists. When hiring staff, I look for someone who has a similar style to me (hair, clothes, personality). I think it is important to work with people who have a similar personality as we work in such a small space together – and have to gel well. We are all easy-going – so it makes it easier to just talk things out when we have any issues. I also want all the clients who visit to feel the same energy. When hiring a new senior colourist, I keep them off the floor for the first two weeks of employment and have them shadow me. We also do one-on-one training so that they can perform consistent techniques throughout the studio. TJ: Any advice for tailoring the perfect colour/style to your clients? GC: I think the most important thing to consider when tailoring the right colour for your client is determining their maintenance. I believe that the way the colour grows out is just as important as the way it looks when they leave. We find that our clients appreciate this a lot when they don’t have to rush back in or worry if they need to push their next appointment out. TJ: What’s next for Los Pastel? GC: It’s hard to say what’s next for LP as I don’t really like to set [concrete] goals! I’m a big believer of just letting things come to me, but I can definitely see us expanding with more staff this year and I am doing more and more private education around the country!